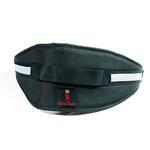 The most comfortable, affordable, and safe belt on the market! Ideal for skijoring, canicross, or rollerjoring. 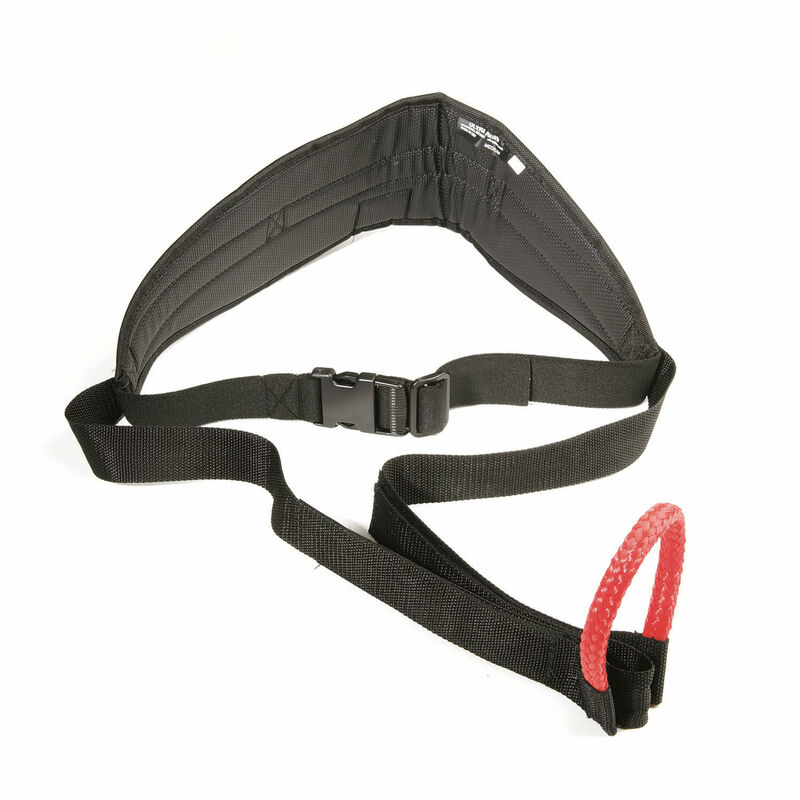 Patented soft quick release is designed for the safety of the dog and person. Your center of gravity lowers with the belt positioned at your hips. Bright reflective strips at back & side seams. Hit the slopes and trails and give your dog a good workout with the Ultra Paws Skijor Hip Belt Hands-Free Dog Leash. Ergonomically designed and perfected by champions - and now Ultra Paws offers the only patented belt on the market. 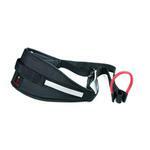 Control handle at the back of the belt is handy for beginners or in the starting chute at races. 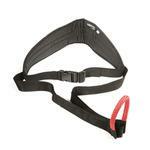 The front belt straps extend from both sides of the belt to keep your balance when turning. Heavy duty snaps on the adjustable waistband. Tacky material covers soft padding to hold the belt on your hips. Attach an 8' (2.43M) or 10' (3.04M) tow line (Item 700SC) to the inner portion of the quick release (sold separately). The belt sits on your hips - remember to take into consideration extra winter clothing. Available in five sizes for children through large adults.